What would Hecker make of our time? 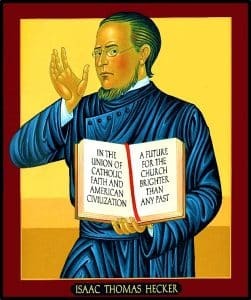 Isaac Thomas Hecker, founder of the Paulist Fathers, was notably characterized by his optimism about his world, both the social world of America in the mid-nineteenth century, and the prospects of the Church in his day. As we look at the disarray of the American social and political scene today, as well as the profound shifts happening at least among the Catholic faithful (if not among the formal structures of the Church), we have to wonder what sense Hecker would have made of our situation today. Of course, the scene Hecker saw was no picnic. Immediately after the founding of the Paulist Community in 1858, the country tore itself literally in two, as decades of recrimination between the North and the South evolved into an outright claim for secession, followed by five years soaked in the blood of American citizens. While Hecker believed that a nation united under one faith, the Catholic faith, would not have split apart, it’s hard to know whether Catholic bishops, even the giants of that day, could have possibly kept the guns at bay. The church scene was not much better in Hecker’s time either. Decades of pushing for a pronouncement about papal infallibility created tensions between those who thought a stronger papacy was needed and those who felt that any declaration of this type would be hopelessly misinterpreted. This came to a head just ten years after the Civil War began, in 1870, at the First Vatican Council in Rome. There the pro-infallibility bishops pushed through a declaration, one which some bishops from England and the United States had a hard time swallowing. As did Hecker — initially anyway. Should we then, after seeing what Hecker dealt with, be rather happy with the issues that we have now? We have parties at each other’s throats, but we don’t have states breaking away from our Union. We have tensions between left and right-wing impulses in the Church, but we are not facing solemn declarations at solemn church councils. We have scandals touching at the neuralgic points of sexual behavior affecting just about every country in the Catholic universe, but our Church still seems like it will hold together. What would Hecker make of this today? Hecker, ever optimistic, would call us to a positive vision of where we are, and urge us to trust even more in the future the Holy Spirit will bring about. As an American and a Catholic convert, Hecker saw the gifts that the American experiment (freedom, trust, sharing, openness, innovation) could bring to the Church. Because he so clearly saw the structures that held the Church together, he could imagine new social and spiritual patterns emerging precisely from modern experience. It took over a hundred years before the Church began to open itself to modernity—that is, to engaging with the modern world that had begun to take shape with the Industrial Age. We can see today the enormous social and environmental consequences of the emergence of industry, corporations, and labor—some terrible, some essential; but Hecker could only sense the initial energy, the hopes, and the confidence that God could deal with modern America as well as God dealt with the Middle Ages or even the Dark Ages. He wanted the Church to engage with, and evangelize, his modern world. Modernity carries many traits long resisted by the Church—autonomous systems of information, democratic expressions, affirmations of economic dynamics, the equality of all people (especially genders), and the movement of technology. Hecker would look at these as opportunities for the Church to exercise its ancient spirituality and foundational doctrines. And he would do so with a firm nod at the guidance of the Holy Spirit. I suspect he would see Vatican II as a start, not as a climactic ending. Vatican II would create a new point from which to build forward into the future. Certainly, part of our political array comes from the impact of modernity on politics. We no longer have only newspapers backing candidates. We now have non-stop 24-hour news cycles, Internet sites, and endless comments on social media from untraceable sources. Likewise, the entanglement of politics and economics seems more overt, and also more sinister, in today’s environment than 150 years ago. It isn’t just agricultural areas battling urban areas. It’s corporations, technology, big data, automation, diminished labor, and global influences, that scramble the omelet of today’s life. But Hecker would look at these as opportunities for the Church to articulate an integral spiritual and human vision of humankind, asking the Church to bring this vision precisely to the deepest issues of modern life. Much contemporary church language revolves around bashing modern culture (consumerism, individualism, hedonism, etc.). Hecker would not have engaged in anything like this. Rather, he would have thought, the blotches on modern culture should call for the healing balm of the deepest Catholic vision of humankind. As he was in his day, Hecker might seem controversial today. But the controversy would revolve not around his ultimate vision, but around his optimism. The Church still has not caught the inherent optimism that comes from opening oneself to the Holy Spirit and trusting in the Spirit’s guidance of those who submit in humble love. Hecker offers optimism, not naivete. I see Hecker asking us to look beyond the tensions and battles of both church and world today, to look beyond these to something yet fuller, which the Spirit of Jesus is bringing about through those who open their hearts and dare to face the future with faith. Surely the Holy Spirit can help the Catholic people bring their spiritual depth and expansive community to help modernity—with its autonomous democratic processes, its economic patterns, its call for radical equality, its trust in technology, and its open communications—to serve the purposes of the Kingdom of God. This would involve some imaginative thinking along this line: How can we envision a future America (along with Canada and even Mexico), faithful to the democratic values and secular impulses (secular, in the sense of not being controlled by a church), coming to replicate, in governmental and social terms, the values of the Kingdom of God. These Kingdom values, articulated, for example, by Pope Francis, belong to all of humankind. A fortiori, they should belong to the then-unique experiment that America was, separating church and government, ultimately for the betterment of both. The Church cannot pretend to control social forces, as it might have done in the Middle Ages. But we can certainly enter the processes through dialogue and engagement; and we can bring the stability of our faith perspectives to help guide modern people to a fuller future because the saving work of Christ continues even now, in our day, and in our culture (as Hecker might have put it!). Isaac Hecker speaks of “the life that flows through us”. I was struck by this description of our true relationship with the Holy Spirit. The force of life itself flows through our very being and we are nothing without this. When I live in accord with the Spirit I know I can do the most amazing things and more importantly do so peacefully. This is a power far greater than hatred or strife. The amazing thing is that the more I allow the Spirit to move in my life the more delighted I am. I believe that to the degree that I can trust without fear God’s gratuitous love, to that degree I will be the person that I am called to be. Naturally, like all of us, my willingness to trust comes and goes, but one happy day I will allow myself his total love and live in the very heart of our Lord. I give thanks for this wonderful gift we call life. Yet your face belies their judgment. from seeing beyond the tangible. that have not yet been revealed to me? the mystery of God becoming human. Paulist Fathers Thomas A. Kane and Bruce Nieli will lead an unforgettable 12-day pilgrimage to Israel and the Holy Land. Registration and pricing available now at paulist.org/pilgrimages/holyland. Join Fathers Thomas A. Kane and Rich Andre for a 12-day pilgrimage to Greece and the Islands. Who better to explore Pauline sites than two members of the Paulist Fathers? St. Paul, our patron saint, is a key inspiration in our lives and ministry! Fr. Thomas has traveled extensively throughout the world, leading many pilgrimages in Greece and Turkey. His knowledge of art and culture will enhance the spiritual depth of our time together with special prayer services and liturgies. Fr. Rich has journeyed to the Holy Land, bringing scriptural insights and a liturgical enthusiasm to the group. More information at paulist.org/pilgrimages/greece. A ten-day Retreat Pilgrimage into the Heart of Ignatius Loyola with Frs. Thomas A. Kane, CSP and Geoff Wheaton, SJ. Our life is a pilgrimage, a journey of faith to deeper communion with God and with one another. In many traditions, the faithful travel as pilgrims along the paths of the saints. Join us on this retreat-pilgrimage to Spain as we pray together, enjoy new sites, experience community, and deepen our awareness of God’s grace. As we trace the life and spirituality of St. Ignatius Loyola, we also celebrate the common life we share with fine wines and regional foods. We begin in Bilbao with a visit to the Guggenheim Museum and continue to the town of Azpeitia for a three-day retreat at the Casa Arrupe near the Sanctuary of Loyola. We have retreat talks on the life of Ignatius of Loyola and special prayer opportunities at various pilgrimage sites nearby. We journey next to Pamplona, where Ignatius was wounded, then on to Javier, the birthplace of St. Francis Xavier. As we make our way south, we visit the ancient monastery of Leyre. As we ascend Montserrat, we view the breathtaking vistas of Catalán and enjoy the beauty of this lofty Benedictine monastery. As we ride along the Cordoner River, we remember The Pilgrim at the cave of Manresa where Ignatius wrote the Spiritual Exercises. We conclude our pilgrimage in Barcelona with a festive Eucharist at Sagrada Familia, a special sightseeing program around the city and a farewell lunch. Come join us in discovering the richness of our vast spiritual tradition as we journey through these historic lands. This pilgrimage promises to broaden your faith and be one of the most memorable experiences of your life. 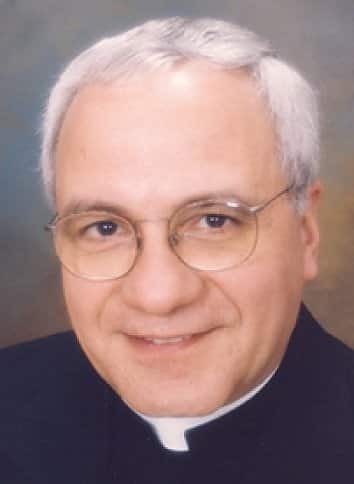 Registration is open now at paulistpilgrimages.com. It is with great pleasure and excitement that you are invited to join Paulist Pilgrimages on our Splendors of Eastern Europe and Oberammergau pilgrimage with a once-in-a-lifetime opportunity to attend the world famous Passion Play in 2020. The villagers of Oberammergau first performed the play in 1634 in fulfillment of their promise to God for sparing them from the Black Plague, and it has been presented there every ten years since then. 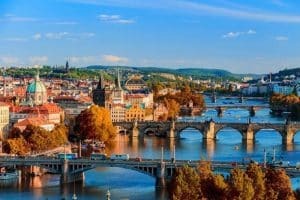 Registration is open now at paulist.org/pilgrimages/eastern-europe. Greetings to All Paulist Associates. 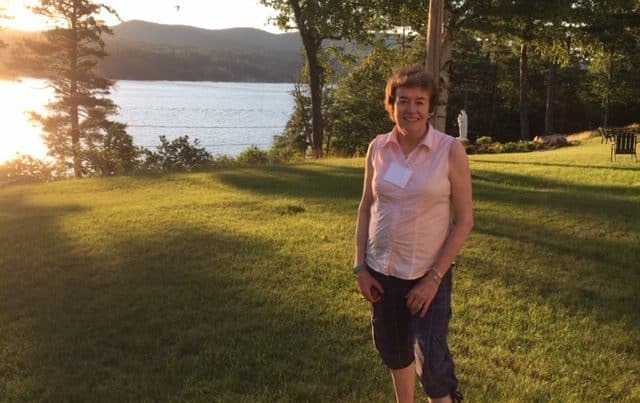 As a new member of the National Board, I write to introduce myself to those of you whom I do not yet know. I’ve been an Associate in Boston since the first group was formed at Park Street and have acted as coordinator of our group for the past few years. I am stepping down as coordinator and Barbara Lapinskas will be taking over as the Boston coordinator. I am very much looking forward to serving on the National Board and hope that you will feel free to contact me with any comments/concerns that you or your local group may have. Since we are spread far and wide, I hope to begin a practice of quarterly conference calls with all of the local coordinators (with one Board member joining), so that we can get to know each other a little better and share best practices, particularly around the formation process for new Associates and topics for our newsletter, Associates World. My hope is to begin this in January, 2019. Being a Paulist Associate has been fun, challenging and, not surprisingly, brought me into contact with some of the most interesting people I have ever met. I have matured (and continue to mature) in my spiritual life in ways that I could not have imagined when I started out, particularly since I began the formation process, not because I was any kind of a “seeker” but because many of my friends were doing so. Theme: The meaning of Christmas for Hecker and YOU. Many Groups have a more informal, celebratory December meeting in the Christmas Spirit. 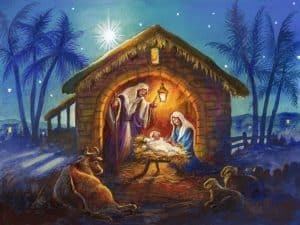 So, the suggested Program for December is to take a few moments during your gathering to reflect on the three short passages below from Hecker’ Christmas sermon to give you some idea of what Christmas meant to Hecker and then go around and share what Christmas means to each of you. God became man to facilitate man’s love for God. God is shrouded in our common humanity. Christ is our brother who we can approach with feelings of confidence and affection. God became a babe! … For in an infant we see all that is good, lovely and sweet in human nature…Who is so timid to approach this helpless babe as he stretches out his little hands to show us love? Hecker’s entire Christmas sermon appeared in the December 2016 Associates World. It is Hecker’s only surviving Christmas sermon. 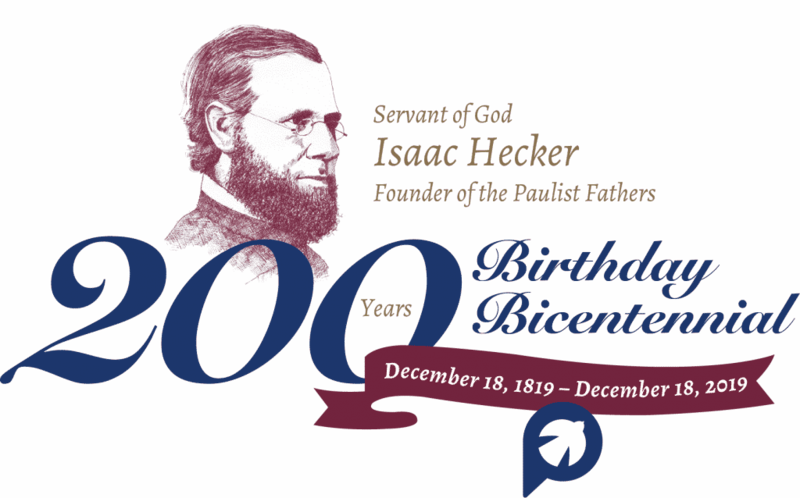 I hope by now you are aware that the Paulists through the Committee for the Bicentennial of Hecker’s Birth (December 18, 1819) have a number of suggestions, events and resources to celebrate Fr. Hecker’ Bicentennial. It begins this December 18 with a special mass at our Mother Church, St Paul the Apostle in NYC. Perhaps your local Paulist foundation is also planning a special liturgy on that day. I encourage you individually to get involved with your local Paulist foundations efforts and how your Group might creatively raise awareness of Fr Hecker and his spirituality during his Bicentennial Year.